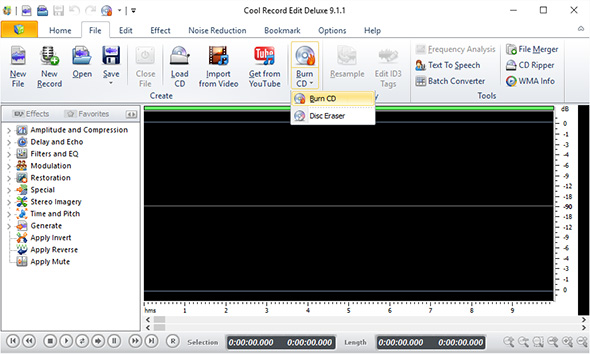 Cool Record Edit Deluxe has a built-in Audio CD Burner to create playable audio CD for those who are music fans and have several GB of songs stored in their hard disk. 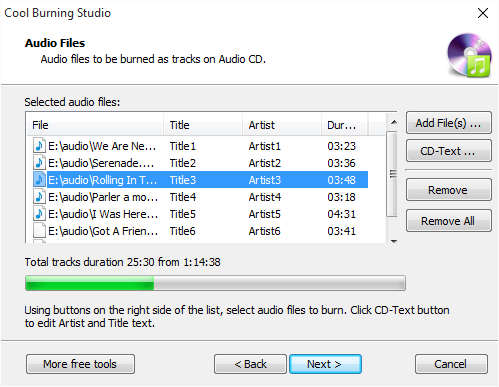 This tutorial includes the details of How to Burn Audio CD with Cool Record Edit Deluxe. 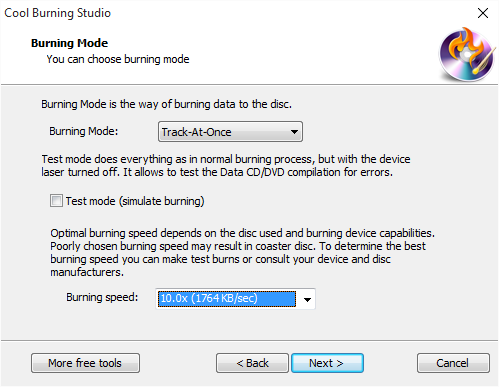 After launching Cool Record Edit Pro, you need to insert a writable CD into your disc drive. 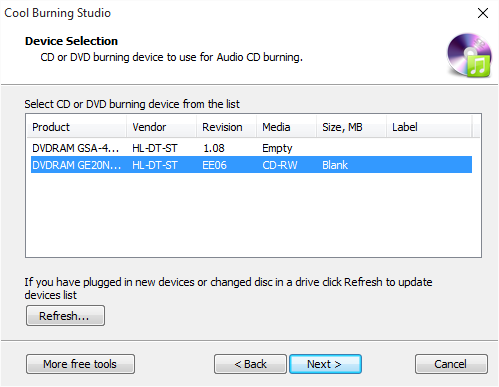 Click “File” tab and choose “Burn CD – Burn CD”, then the audio CD burner wizard will be activated.